It's the first word I learned and the last word I use. Such a simple two letter word that I just haven't mastered the art of. As a toddler I could roll it off my tongue without batting an eyelash. I'm pretty sure I used it enough to make my mother want to pull her hair out. Now it's like a cat has my tongue every time I want to use it. The key word in that sentence is "want". I want to use the word "no" on a daily basis. To the lady at Victoria Secret, coaxing me to add just a $2 lip gloss to my purchase. To the Chick-fil-A employee who insists I up-size my order. To my husband when he tells me he wants pizza for dinner. Again. To my blog when I don't feel like being here, but I show up anyway. To the 90th commitment we've made for the month taking away all our free time. The list goes on. But I can't stand it anymore. I want to find my voice. I don't want to continue being the girl who is afraid to turn someone or something down. You may remember I started this "monthly focus" last month as my new year resolution. I didn't stick with it daily as I'd hoped, but I'm definitely getting better! So for this month I'm a few days late, but that never hurt anybody! If you asked me to tell you a personality trait about myself, the first one that comes to mind is that I'm a people pleaser. I will go above and beyond to make you comfortable before I am comfortable. Whatever that entails. Whether it be laughing at a terrible joke. Eating at a restaurant I hate. Seeing a movie I could care less about. Sitting in the worst seat at a sporting event. As long as your happy, I'm happy. It can be a great trait because I'm very agreeable and laid back to the naked eye. But inside it gets to me. I start to wonder when will I put my needs above someone elses? 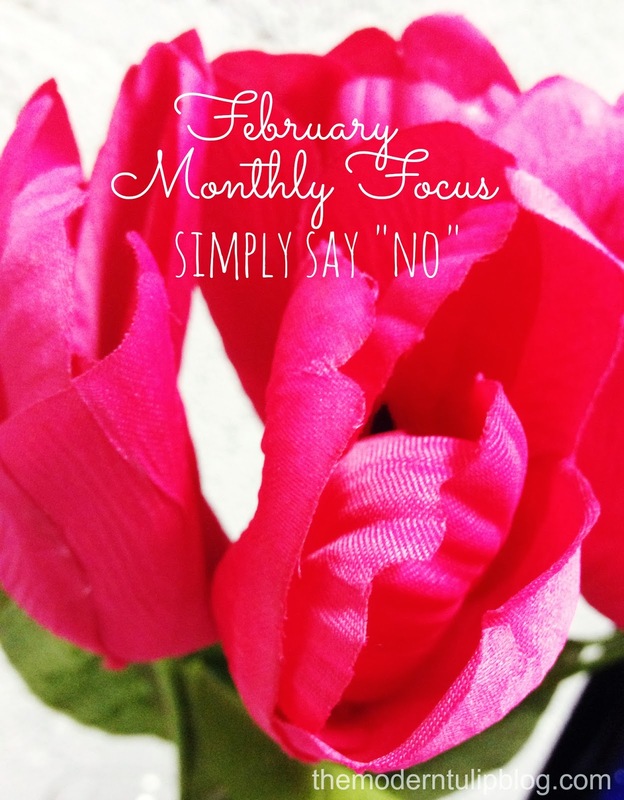 This month I will focus on using the word "no" when appropriate and I won't feel guilty for using it. I won't have that looming feeling of regret that I get when I say yes to something I'd preferred to have said no to. Finally I won't have that pit inside my stomach when I walk out of the store because I was persuaded to spend more money than I had liked to. love it! i could get better at this myself. challenge accepted! I need to get better about this, too!! Thanks for encouraging me, friend! Love you! I'm just going to be completely honest here....I wish I could be a people pleaser sometimes. I'm so honest with my opinion that sometimes people take it the wrong way. So, at times, I would love to have a problem saying no. Doll, I have an idea. Since we're so alike in the 3895013 other ways.....when you are struggling saying, "no"...just think..."channel your inner-Elise." And the no will come out. I am a no master. I mean, if I should feel guilty about anything it might be about NOT feeling guilty about how easy it is for me to say no. ;) HA! But seriously. I will encourage you through this!!!! It's not about being selfish. It's about knowing your priority, Christ, your family, everything else...and if something is coming between your time with/commitments to those priorities..say no! Or text me when you're about to not say no. And I'll talk you out of it. That works too. I'll be your accountability!!!!!!! Your voice of reason. You. Can. Count. On. THIS GIRL! 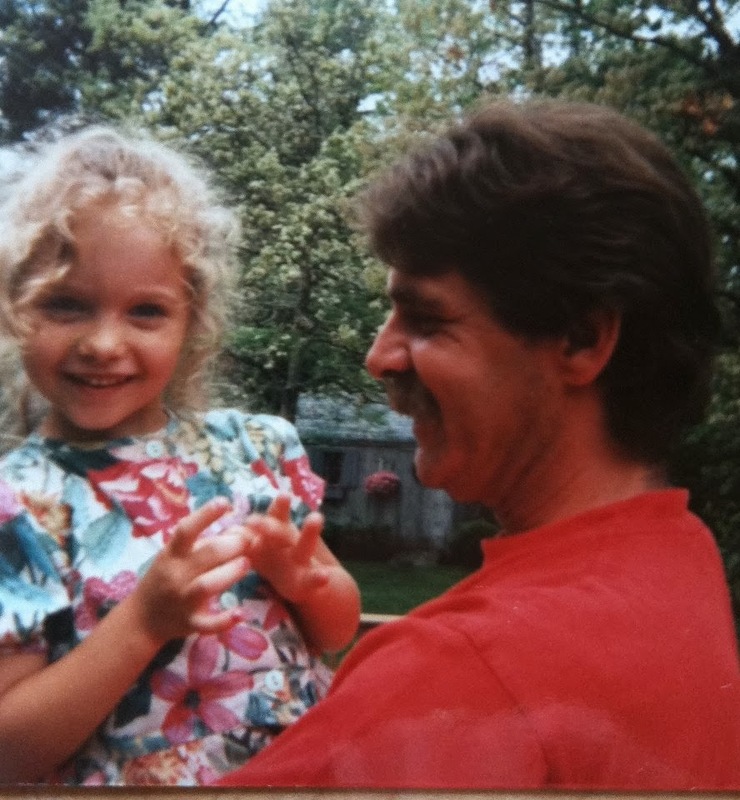 PS OF COURSE WE BOTH HAVE CURLY BLONDE LOCKS AS SUPER CUTE KIDDOS OMG!!!!!!!!!!!! Just remember-- you can do anything, but not everything! Seriously, when you're shopping, it almost feels like you're really fighting a battle to keep saying "no" all the time because it's so confrontational. I'm actually better at it than the husband is, though. I think he feels more guilty about it than I do, when I'm like, "The employee doesn't actually care, they're just following a script because they have to!" :P But yeah, sometimes life requires saying "no." Sometimes you have to say no! We are only human! We can't please everyone! I am the same way!! I don't care if our schedule is packed to the brim, if you need me to something I will do it. If you need me to go somewhere, I will go. It can wear.me.out. I think it even bugs B about how I never say no! Heck, it bugs ME! Praying! It's easy for me to say no to salespeople wanting me to fill out a credit card or donate to a random charity. I think it's harder to say no when people need a favor or invite us somewhere. It is also hard to say no at church...they want you to do everything! Good luck on saying NO! You look like a little doll in that picture!! Yes, sometimes I feel like I need to put my foot down especially when I'm being guilted into something or being offered delicious cookies! I always say i need to work on saying "Yes" to things more but yeah sometimes you gotta say no! Thanks so much for this post, I feel exactly the same about so many things, I always feel guilty to say No to people, it just seems like they rely on you not to. We need to use it more often. Happy End of the Week! I am a pleaser oo. It is hard to break that! New follower and I look forward to reading more! You and me both, lady! Especially the cashier asking for donations and friends asking you to make plans doing something you don't really want to do when you'd rather be sitting on the couch in your sweats with a glass of wine! Cheers to saying no! I work at Sam's and we have to sell our "plus" membership. If you don't meet a quota, you get coached and then fired.... but it's ridiculous! "Suggestive selling" is not a good way to do your business! I don't mind if people ask about donating to a charity, but I do not want to spend money on something that's not going to benefit me. I'm more likely to donate to a charity than to upgrade to something else. Good luck on saying no, because it can be hard!